"Treating Your Chronic Back Pain Could Be As Simple As Avoiding Inflammatory Foods"
Chronic Back Pain can have several different causes. Some of them are related to something you are doing to cause chronic inflammation in your body. Inflammation can be acute, as in a cut or a burn where you see the redness and soreness. Or it can be what is called chronic inflammation. Chronic Inflammation can be devastating and deadly. The reason is, that you don't know you have it until you have symptoms of an ailment. This could be Heart disease , Stroke , Diabetes , Arthritis , or many other serious illnesses. It's easy to do some experimenting on your own to see if you can figure out the cause of your chronic back pain. Then by making a few adjustments in your life it might give you some back pain relief. There is the CRP or C-reactive protein test which you can have done at your doctors office which will tell you for sure if chronic inflammation is a problem for you. You still won't know if that is the cause of back pain, but, you'll know you have to make some changes in your life. If inflammation is the cause of your back pain, more than likely you have other imbalances in your body also. That means it's just a matter of time before the inflammation manifests in the form of gout, or some other chronic disease. The First Thing You Should Do For Chronic Back Pain Is Eliminate Inflammatory Foods From Your Diet. Much of our back pain and indeed many of our illness are caused by what we eat. Inflammatory Foods include all commercially processed foods, and all junk foods. Sugar of any kind will cause chronic inflammation in your body. If you currently eat margarine throw it out, it is a`highly inflammatory substance. I hesitate to even call it food. And that goes for all corn oil, soy oil, and other vegetable oils as well. Eliminate grains and corn as much as possible. They cause inflammation and also cause weight gain. Farmers feed grain and corn to animals to fatten them up as fast as they can for slaughter. When you eat grains and corn you are making it much more difficult for yourself to maintain a normal weight, as well as causing chronic inflammation which could potentially kill you. Follow an anti inflammation diet. Lots of colorful fresh fruits and vegetables. Eat grass fed beef rather than grain fed beef. Use butter, coconut oil , and olive oil. Most importantly, your body needs omega 3 fatty acids to fight inflammation. You find omega 3's in fresh cold water fish such as salmon,and mackeral. Other good sources are flax seeds and flax seed meal, and also fresh nuts. Walnuts are a very good source, just don't over do it on the nuts because of the fat content. It is difficult to get adequate omega 3's by eating fish, so, it is recommended to take a quality Omega 3 Fish Oil Supplement containing high amounts of EPA and DHA. Get rid of as much stress in your life as you possibly can. That includes staying away from negative people, and situations that you know will be stressful. If a relative is a source of stress for you, stay away from him or her, you'll feel much better. Get some exercise if you are able. Whatever movement you can do will help your back. This is also a great stress reliever. Practice Spring Forest Qigong to keep your energy flowing and your body running smoothly like it was meant to. Drink plenty of water. Not coffee, tea or sodas. Plain water will help to flush out toxins in your body. Water will keep your body hydrated while you are treating your chronic back pain. Avoid Inflammatory Foods As Much As You Can. Get up and move for 15 minutes every hour. Your body will thank you. I know this one is tough, because I spend all day at the computer, and I sometimes have problems with trigger points, or knots that are painful. For temporary back pain relief there are some creams that make the sore area feel warm and will often give some relief. Treating your chronic back pain with lifestyle changes can take some time, but stick with it. You are in charge of your own body. 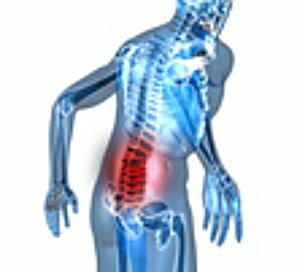 Do you have a great story about back pain? We'd love to hear it!